Creating books can be overwhelming and expensive but, luckily, help is available! Authors can ask readers, or other interested folk, to help support the book’s creation… and pay it forward… through crowd funding campaigns like those available on Kickstarter and Indiegogo. Here’s an example of a live — through Sept. 18, 2015 — crowd funding campaign for a very worthwhile book. Buddy The Soldier Bear is a children’s book authored by a soldier’s mom and illustrated by a soldier. 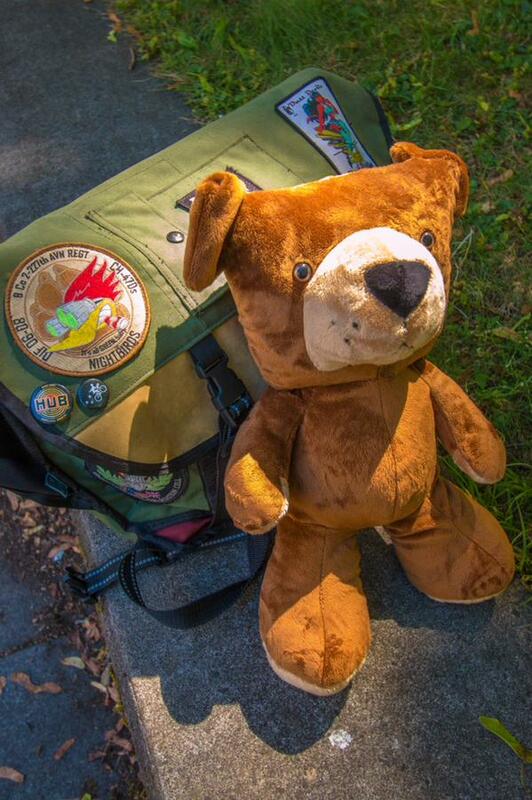 If the campaign succeeds, author Marie Joy Monroe will be able to create her books and plush Buddy mascots, and donate them to public libraries, schools, and military support groups. Plus, a portion of any sales profits will go to Central AZ3 Blue Star Moms, and other nonprofit organizations who help soldiers. Have you done a crowd funding campaign? What worked? What didn’t? What advice would you give to other authors considering this route? P.S. While you’re checking out Buddy’s live campaign, think about donating to it, or at least forwarding the information to families or those in your networks associated with the military. You would support an excellent cause, and have some fun, to boot! This entry was posted in All Posts, Words: Serious Play, Writing tips and tagged Ann Narcisian Videan, Arizona authors, author tips, book marketing, Buddy the Soldier Bear, Crowd funding, crowd funding Indiegogo, kickstarter, Marie Monroe, writing tip by Ann Videan. Bookmark the permalink.